Two-time World Champion Fernando Alonso has signed a 5 year deal with Ferrari believed to worth 25 million Euros per year. The news comes as a shock to no one as rumors of Alonso making the move to Ferrari have been around for years and have become even more prevalent lately. The deal is most likely going to displace Kimi Raikkonen from the Italian team while Robert Kubica will be filling the void left by Alonso at Renault. BMW Sauber is attempting to launch a lighter version of its F1.09 in time for the Spanish Grand Prix to increase the chances of Robert Kubica being able to use KERS in his car. Kubica hasn’t been able to use KERS yet due to the extra weight it adds. The extra weight hurts the handling and increase the tire degradation. Nick Heidfeld, Kubica’s BMW teammate has been able to use the KERS since he is weighs much less than Kubica. BMW is confident that KERS provides an advantage on the track, which is why they are making such an effort to equip Kubica’s car. BMW Sauber has launched their 2009 Formula 1 car, the BMW Sauber F1.09. 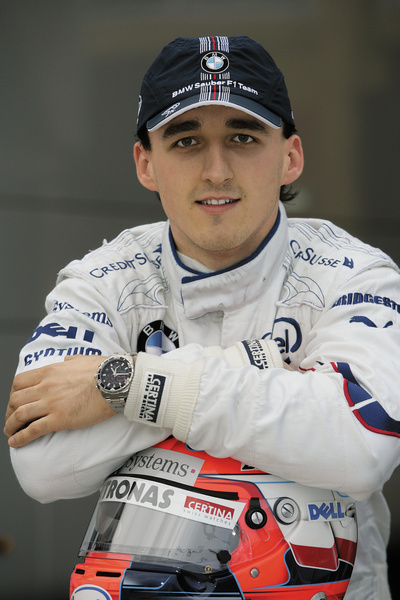 Team drivers for BMW in the 2009 season will be Robert Kubica and Nick Heidfeld. Last season, Kubica and Heidfeld finished in 4th place and 6th place, respectively. Leading the Formula 1 Championship after seven races was Polish driver Robert Kubica. He eventually finished the season in fourth place, but his emergence as a Formula 1 contender was firmly established. Kubica had a very solid year with few mistakes. One notable mistake was his spin out in the rain at Silverstone which caused him to lose third place. Considering the amount of mistakes by other title contending drivers made in 2008 (Hamilton) Kubica had a very clean season. Kubica’s his drop in the standings was due to his car’s inability to compete with F1 heavy-weights McLaren and Ferrari, and not his driving ability. As BMW’s pace declined relative to McLaren and Ferrari, Kubica made his frustration clear and began to criticize the team publicly. Kubica believed that the team’s focus was heavily devoted to his teammate Nick Heidfeld’s qualifying troubles, which hurt the Pole’s title chase. This allegation is most likely overstated, but BMW Sauber should give Kubica all the attention he deserves if they have any type of Championship aspirations in 2009.